We are a top notch supplier of SBL Hair Oil. fortified with hair nourishing medicinal herbs – arnica, jaborandi, calendula, china and cantharis. 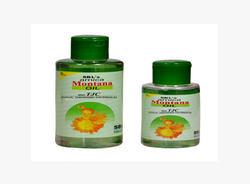 prevents dandruff, premature graying and gives strength to the hair. it is non-oily and has non-greasy base that’s why can be used during daytime also. We are engaged in offering SBL Hair Oil. We are engaged in offering SBL Hair Oil Jaborandi Plus. Our company has been successful in winning appreciation from the clients as one of the most prominent names in the trading of SBL Hair Oil. Our reputed entity is engaged in supplying Herbal SBL Hair Oil. We are a renowned name, which is engaged in offering Homeopathy Jaborandi SBL Hair Oil. We are a top notch supplier of SBL Hair Oil Jaborandi.